"Derrick has a successful, 'hands-on' approach to tackle business challenges and possesses a unique blend of operational, business development, strategic and financial acumen." 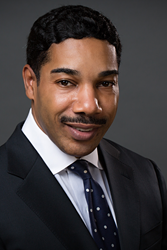 Brooks International (http://brooksint.com) announces the rehiring of highly experienced senior executive Derrick Gordon as a managing partner/account director and member of the Brooks International Leadership Team. Mr. Gordon has already hit the ground running as an important and influential contributor on one of the current Brooks International engagements. As a top executive, Mr. Gordon partners directly with Brooks International’s client CEOs. He’s responsible for developing and maintaining client relationships and leading/managing engagements to deliver significantly enhanced profits and predictable business performance for Brooks’ client organizations. Mr. Gordon has extensive international business consulting experience and a reputation for building and leading superior teams to accomplish aggressive business objectives for private equity and multi-billion-dollar organizations. He returns to Brooks International after a successful stint as a business development executive. Mr. Gordon has consulted for corporations across Europe, Africa, Asia and North America. His areas of expertise include engineering, supply chain management, manufacturing operations, revenue enhancement and post-merger integration. He has worked in such diverse industries as consumer goods, aerospace, automotive, oil and gas, banking, insurance and private equity. Headquartered in West Palm Beach, Fla., with locations in Canada, the United Kingdom and Europe, the award-winning, global professional services firm Brooks International delivers significantly enhanced profits and predictable business performance to its Fortune 500 CEO clients worldwide. Brooks International specializes in execution performance capabilities across all industries and sectors. Visit http://www.brooksint.com, call 561.214.8800 or connect on Facebook or LinkedIn for more details.